How Much Does the Hopper Cost? The Hopper Duo Smart HD DVR is now included when you choose a qualifying TV package. * Upgrade and enjoy all the features the Hopper 3 has to offer for an extra $5 a month. Get high-quality entertainment throughout your home with Joeys for $5 to $10 a month. What Does it Cost to Upgrade to the DISH Hopper? When you subscribe to a qualifying package your DISH Hopper Duo Smart HD DVR is included. * There are no upfront costs to use this enhanced receiver with your TV package. Industry-leading DVR capabilities and built-in apps are just a few of the reasons to add the Hopper Duo Smart HD DVR to your home. *All offers require credit qualification, 2-Year commitment with early termination fee and eAutoPay. 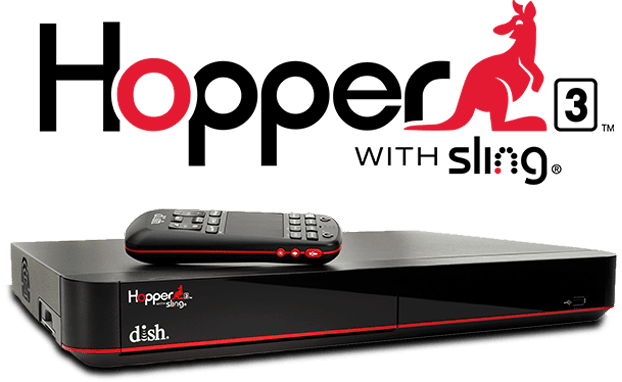 DISH Hopper 3 DVR Fee $5 more/mo. How Much is the Hopper per Month? Using your DISH Hopper 3 as your primary receiver comes with no monthly receiver costs. Monthly DVR and whole-home fees do apply, but they cost only $10 per month. This Hopper cost per month allows you to take advantage of the DVR’s 16 tuners, 2 terabytes of storage and features like PrimeTime Anytime. You can also add additional TVs to your whole-home entertainment system! With the Hopper 3, you can enable an additional 6 Joeys, Wireless Joeys, 4K Joeys, Joey 3.0s or Super Joeys. The Hopper 3 is able to support as many as 7 TVs, allowing you to enjoy all its features throughout your home. Adding Joeys or 4K Joeys to your home is $5 per month each. The Super Joey, with two additional tuners for more DVR power, is $10 a month. How Much is the Hopper 3? Upgrading to the innovative Hopper 3 costs no more than the earlier models of the Hopper. 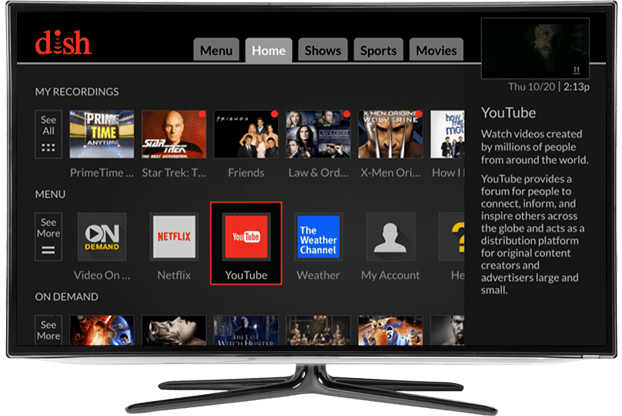 Enjoy all the features of the Hopper 3 Smart HD DVR, including 4K programming and integrated Netflix, for just $5 more a month when you subscribe to a qualifying DISH TV package. 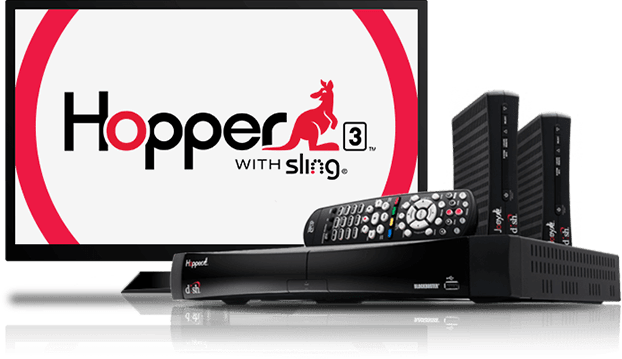 What is the Hopper Upgrade from DISH? 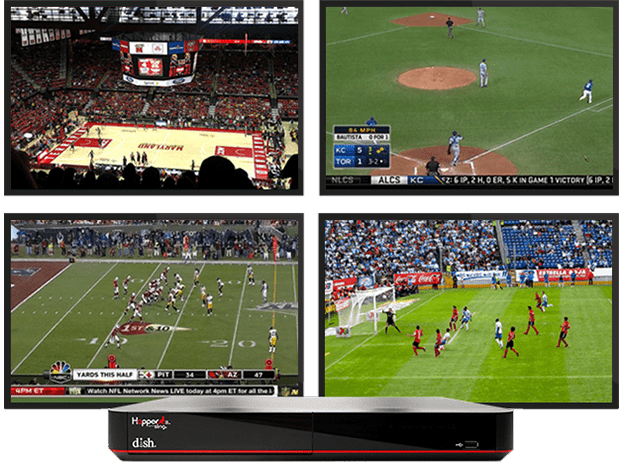 DISH now includes a Hopper Duo Smart HD DVR with your qualifying TV package. * This means that instead of a Wally receiver, you’ll receive the Hopper Duo and enjoy the easy-to-use DVR with no extra cost upfront. With no upgrade cost or fees on the Hopper Duo, there’s no reason not to experience all the exciting features the Hopper has to offer. Enjoy the ability to watch on 2 TVs throughout your home and record 2 shows at once! There are built in apps, the ability to watch anywhere on your phone and more, all included in your monthly package price.